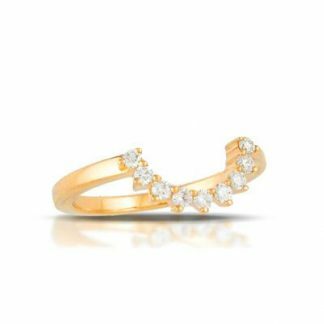 This lovely curved wedding band is from little bird’s bridal collection. The diamond wedding band in 18kt yellow gold will have her saying “I do”. Try the Bridal Band on with a matching engagement ring at Nelson Coleman to prepare for the most important day of your life. The 18kt yellow gold band curves to display a row fanciful diamonds. This wedding band adds a whole new dimension to her engagement ring. You'll always catch her staring at her unique Bridal Band and Bridal Ring. Shop all little bird Jewelry at Nelson Coleman Jewelers.